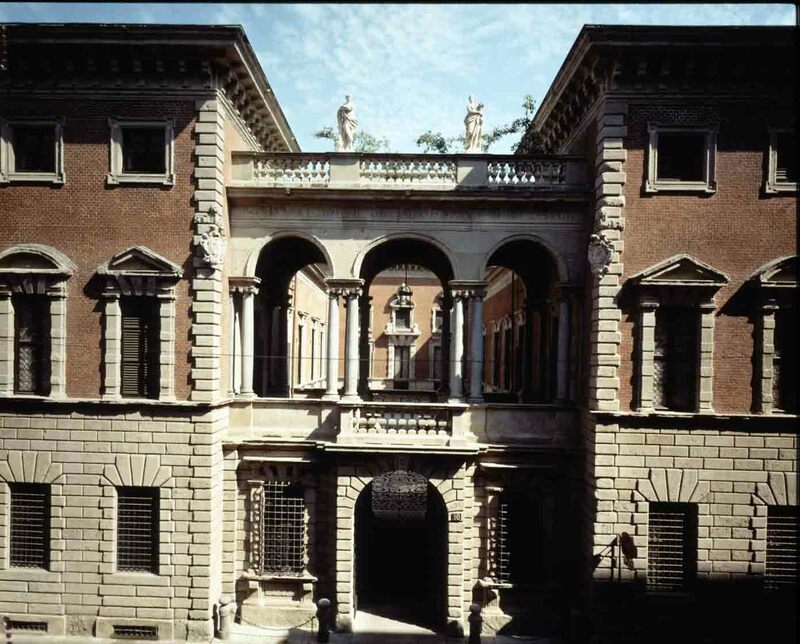 It is a house museum, placed in the heart of Milan and born from the passion of Bagatti Valsecchi barons for the collecting and their home, which turned in one of the example most precious of the fifth-sixteenth-century Lombard art. 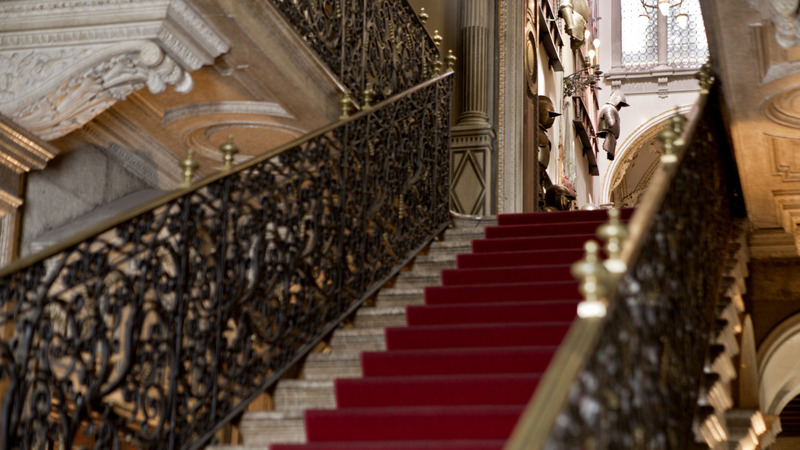 The brothers Fausto and Giuseppe from the 80 years of the XIX century undertaken in first person with the restyling of the Palace, collecting with competence and refined taste,paintings and artifacts of applied art,provided its decoration. Making delightful house for the posterity, was the meaning of a complete life for these two gentlemen. Brilliant and lively Fausto, Giuseppe, more reserved, despite having different personalities, they bound by deep affection and after their death the heirs lived the House until 1974. Pasino, one of Giuseppe’s children, decided to create the Bagatti Valsecchi Foundation, from which, after the alienation to the Lombardy region, in 1994 the Museum was born, with the clause that the historical set-up of the nobile level were entirely conserved. Description ‘There is nothing, not even something secondary, that isn’t antique, or in imitation of the antique. For that reason, everything is harmonious and perfectly in style,’ noted the renowned architect Vespasiano Paravini in 1885, when he visited the rooms of the Bagatti Valsecchi home. In this way, the rooms of the Bagatti Valsecchi home became an arena of endeavor for a vast array of able Lombard craftsmen. Theirs was the responsibility of finding solutions to inserting then-modern domestic comforts—electricity, a shower, water basins with a drain, hot and cold running water—into the rooms without disturbing their stylistic unity. Rooms for Events The Bagatti Valsecchi Museum has five original and unique areas which can be used for your business events, with a capacity from 20 to 150 people: Grand Salon, Dining Room, Stairway and Atrium on via Santo Spirito, Study and Loggia. The areas are of exclusive concession, both for conventions and for convivial circumstance, after the evening closing of the Museum, from 6 pm about. During Monday, the Museum have the prerogative since the morning, and closed to the public. Moreover, inside of the rooms it is possible to organize concerts and guide visits with historian of arts and good competence. DESCRIPTION Areas: 85 mq Capacity: until 80 seating, 150 standing. The Grand Salon express entirely the union between the respect of the Renaissance authenticity and the house living-in necessity. It is is the largest room in the Bagatti Valsecchi home with an important high ceiling with imposing wooden coffers decorated with gilded pinecones. The large central chandelier is aided by eight wall sconces and four standing lamps, initially run on gas and then were immediately transformed for electricity. It was the one of the first private homes to have electricity, just another expression of Fausto’s and Giuseppe’s fascination for the technological innovations and the most avant-garde inventions of their day. DESCRIPTION Areas: 49 mq Capacity: until 30 seating, 7o standing. Formed by four large panels created out of a pair of tapestries featuring episodes of the life of the ancient Persian king Cyrus and by Renaissance artifacts. It is a place of elegance and conviviality, where Valsecchi’s family round up using modern and functional fittings. We can think that the next office was used as a goods lift for the passage of foods. DESCRIPTION Areas: 30 mq Capacity: until 20 standing. At the time of Bagatti Valsecchi Barons, thos room, even if it was used as a study to read, write and relax, it was also came to be used as a study in which the gentlemen of the house could be alone to read, to receive visitors, or to make deals to buy objects for their home. The French doors lead onto the large loggia; it looks down on one side into the internal courtyards of the mansion and, on the other, onto via Santo Spirito. DESCRIPTION Areas: 44 mq Capacity: until 40 standing. Characterised by the elegant features of the room shines the 19th century red marble wash basin inside of which is inserted a Renaissance fragment, the room it is a combination of modern and Renaissance art of the 19th century. This area has a private access from Via Santo Spirito, even now used for events, had the purpose to divid the areas of two Valsecchi brothers who had different character and autonomy. DESCRIPTION Areas: 80 mq Capacity: 50 seating and 80 standing. It is part of one outside Bagatti Valsecchi Palace and it is not included in the normal tour of public visit: so we can observe and admire it only after a reservation for own private event. It has one side in the yard of the Palace and the other side in Via Santo Spirito. Loggia is adorned by a colonnade in Renaissance style and the area opens onto a terrace decorated with a precious balustrade, enjoyable during the spring and the summer for gala dinner or during the autumnal afternoon for an artistic cocktail.